Heterogeneous networks are widely used to model real-world semi-structured data. The key challenge of learning over such networks is the modeling of node similarity under both network structures and contents. 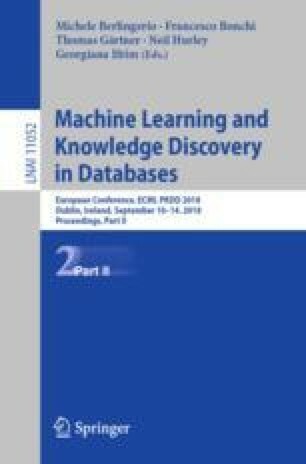 To deal with network structures, most existing works assume a given or enumerable set of meta-paths and then leverage them for the computation of meta-path-based proximities or network embeddings. However, expert knowledge for given meta-paths is not always available, and as the length of considered meta-paths increases, the number of possible paths grows exponentially, which makes the path searching process very costly. On the other hand, while there are often rich contents around network nodes, they have hardly been leveraged to further improve similarity modeling. In this work, to properly model node similarity in content-rich heterogeneous networks, we propose to automatically discover useful paths for pairs of nodes under both structural and content information. To this end, we combine continuous reinforcement learning and deep content embedding into a novel semi-supervised joint learning framework. Specifically, the supervised reinforcement learning component explores useful paths between a small set of example similar pairs of nodes, while the unsupervised deep embedding component captures node contents and enables inductive learning on the whole network. The two components are jointly trained in a closed loop to mutually enhance each other. Extensive experiments on three real-world heterogeneous networks demonstrate the supreme advantages of our algorithm. Code related to this paper is available at: https://github.com/yangji9181/AutoPath. The online version of this chapter ( https://doi.org/10.1007/978-3-030-10928-8_3) contains supplementary material, which is available to authorized users. Research was sponsored in part by U.S. Army Research Lab. under Cooperative Agreement No. W911NF-09-2-0053 (NSCTA), DARPA under Agreement No. W911NF-17-C-0099, National Science Foundation IIS 16-18481, IIS 17-04532, and IIS-17-41317, DTRA HDTRA11810026, and grant 1U54GM114838 awarded by NIGMS through funds provided by the trans-NIH Big Data to Knowledge (BD2K) initiative (www.bd2k.nih.gov).